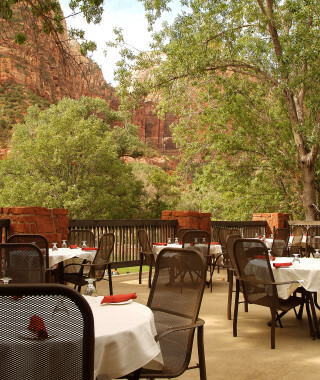 The best place to enjoy a stay in the park is Zion Lodge. Listed on the National Register of Historic Places, Zion Lodge offers 76 hotel rooms, six suites, and 40 historic cabins, originally designed by Gilbert Stanley Underwood in the 1920s. 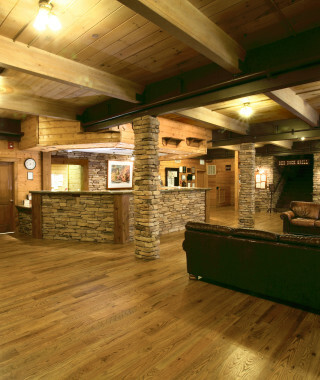 After a fire in 1966, the lodge was rebuilt in 100 days with the top priority being to restore guest services. 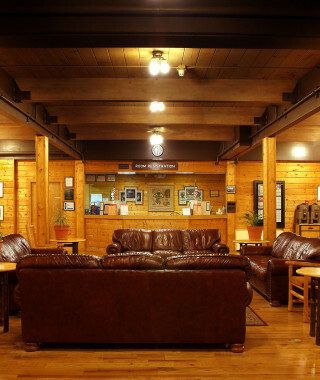 The lodge’s original rustic design was sacrificed at the time but was restored to its original classic appearance in 1990. 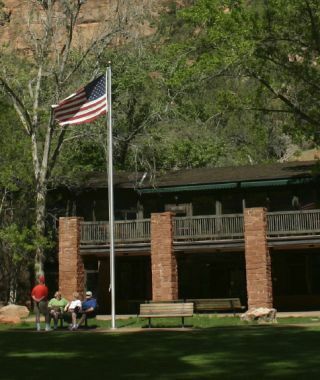 NOTE: Due to a series of recent rain storms that have resulted in rock and debris slides, the National Park Service has closed several trails in Zion National Park. For a list of the current trail closures click here.